IWF - Run, Barbie Run! The first all-female ticket won’t be Clinton-Warren, but Barbie-Barbie. Just in time for this election season, President Barbie has hit the toy shelves and she’s bringing a female Vice President along with her. Inspiring for little girls? 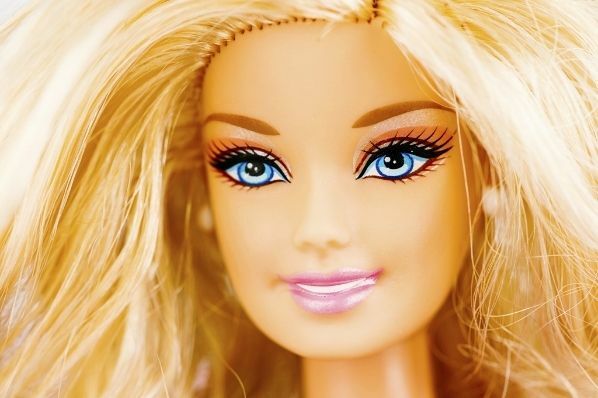 Yes, but is Barbie the influence need to lure more women into politics? Women have caught up to and surpassed men in education, the workforce, and medicine, but still lag in elected offices. Across public offices, female leaders occupy about one out of five elected posts and that has held constant. One out of five U.S. senators and representatives are women. Females comprise just six governorships and a dozen lieutenant governorships. Women preside as mayor over 19 percent of the 100 largest cities and they make up 24.5 percent of all state legislatures nationwide (barely up .1 percent from 2015). When Barack Obama entered the White House, a building partly constructed by slaves, that sight alone was worth a lifetime of campaigning. When Hillary Rodham Clinton enters the White House, the sight of a woman honored not just as a partner or mother of someone else -- but for her own brain and heart and work -- that sight will begin a new era, too. It's been a journey. Are we there yet? Not quite, but we are moving forward. And I feel lucky to have a front-row seat. Ten years after Jordan's historic speech, I first met Hillary Clinton while working on a project for the Children's Defense Fund. She was an impressive woman, but I had no idea that she would eventually be the first to shatter this particular glass ceiling. I think of that when I meet women today, especially young women. You never know who among them will break out and make history. For sure, they will learn, if they didn't already know, that a woman can compete for the highest office in the land. They'll also learn that women are a major force in electoral politics, and if any politician wants to win, he or she will likely have to do it with the help of women voters. Her uneasy role as a feminist who only fights for women who don't threaten her stature and grasp of power makes her, at best, a controversial role model. At worst, it makes her the exact opposite of the kind of women we say we want to be -- women who support each other. Everyone is asking what will it take to get women to run for office? Does it take seeing another woman run and win to know that she has a shot or do we have to start seeding the desire for public office while girls in shopping in the toy aisle with President Barbie? The better question is why do we want to see more women in elected office? Is it in the name of equality or because of a faulty view that only women push for so-called women’s issues? Both motivations are wrong. Yes, we like to see women in office, but seeing more female elected officials such as Hillary Clinton pushing policies that erode opportunity or cut family budgets helps no one but themselves. It is important for women candidates to be ones who understand that women don’t just care about abortion, government mandated leave policies, or torte-lawyer friendly pay rules. Women care about the cost of college, national debt, and the security of their private information. Policy leaders with the best solutions get their support, not just those with two X chromosomes. When women don’t see candidates addressing their concern they may feel compelled to run for office to solve the problem and then to get out. As my college Charlotte Hays explained last year, principle is more important that gender. So will we see a bump in female candidates? It only matters if they are going to help get this country onto the right path of fiscal responsibility, less burdensome regulations, greater prosperity, and more freedom and opportunity. As almost 70 percent of Americans agree, we are on the wrong track.